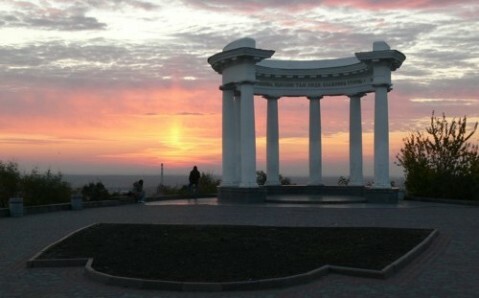 Poltava is one of the best-known Ukrainian cities. It was made famous by its uncommon fate, plethora of historic monuments and important architectural achievements, as well as its amazing natural recourses, and the inexhaustible cordiality of its denizens. Today, this charming city is an important cultural center with an unmatched spiritual heritage, attracting a multitude of travelers from all over the world. 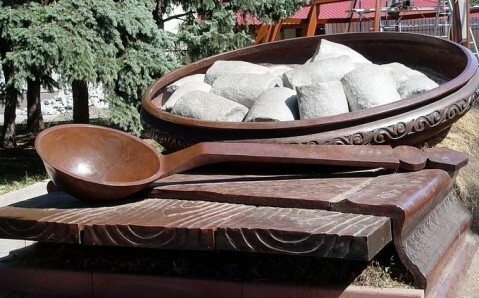 The history of Poltava spans more than eleven centuries. It was named after "Ltava,” the source of the Vorskla River, on whose picturesque bank the city stands. Until the 16th century, Poltava was a part of Grand Duchy of Lithuania, later becoming a part of Poland, and from the 17th century, Russia. The city has had a complicated fate: for centuries, it was pushed into military conflicts. The key event that radically changed Poltava’s (and Europe’s) destiny was the famous Poltava Battle, which took place here in 1709. It settled the outcome of Northern War that had lasted for over 20 years between Sweden and Russia. During the fight, the Russian army (headed by Peter the Great) crushed the troops of Carl XII. The battlefield where the bloody clash took place is now a national reserve. It is the only historical-cultural conservation area in the country that is a part of UNESCO’s International Association of Museums of Arms and Military History. On its territory stands the Museum of the Poltava Battle’s History, whose collection numbers over 8,000 unique exhibits. The battle became a turning point in the city's history. After the Russian victory, the city’s industries were actively developed and, in due course, Poltava turned into an important trade, manufacturing and cultural center. The majority of Poltava’s current landmarks only appeared in the late 18th - early 19th centuries. At that time, the Round Square’s ensemble was designed. It is the most famous Russian classicist architectural complex in Ukraine, and is a scaled down version of the Palace Square in St. Petersburg. For the occasion of the 100th anniversary of the famous victory, the Glory Monument was raised in the center of the square. And a bit later, the largest park of the city was created here, which is now a favorite relaxing place for Poltava’s locals and guests. Not far from the square is the city’s Museum of History - one the oldest and biggest museums in Ukraine. 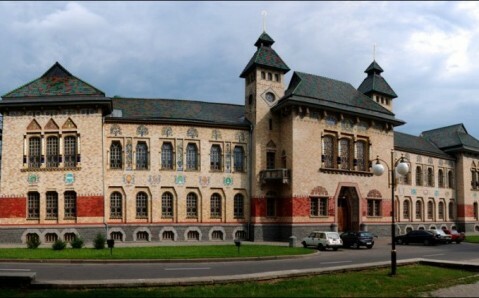 Its priceless collection describes the amazing history of Poltava and its periphery; the building that the museum is in is also an interesting example of Ukrainian Art Nouveau. Another popular sight is the Cathedral Square, which stands out due to its complex of landmarks; this complex is colloquially called "Ivanova Gora" (literally, "Ivan’s Mountain"). The splendid Assumption Cathedral adorns the square. In the past, it was the main temple of Poltava. And right behind it stands a museum to the Ukrainian writer Ivan Kotliarevsky. On "Ivanova Gora," you can also find the famous monument to Poltava’s "Galushka" (“Dumpling”) and the White Pavilion (the Rotunda of nations’ friendship), from which you can see a beautiful view of the city and the majestic Exaltation of the Cross Cathedral – the most ancient building in Poltava. This unique, seven-domed temple is considered to be one of the best specimens of Ukrainian Baroque style, and it has survived until today. 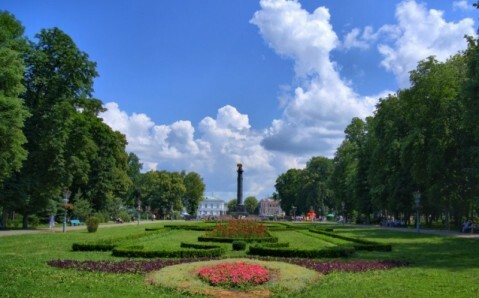 Poltava’s unique sights supplemented by the natural beauty of its environment. Its amazing surroundings had a particularly strong effect on the most famous of Poltava’s sons, the great writer Nickolay Gogol, who described the city in his novellas. You can follow in the footsteps of Gogol's protagonists by visiting the legendary farm near Dikanka and the most renowned of Ukraine’s fairs, the Velyki Sorochyntsi. Poltava is rightly considered to be a jewel in the crown of eastern Ukraine. Those who discover it for themselves can truly claim that they touched the soul of this eclectic region.